You’re a benefits professional—You know your benefits program like the back of your hand. But now, as employees are getting close to the age of 65, they’re starting to ask questions about Medicare, and you’re not always prepared to answer. 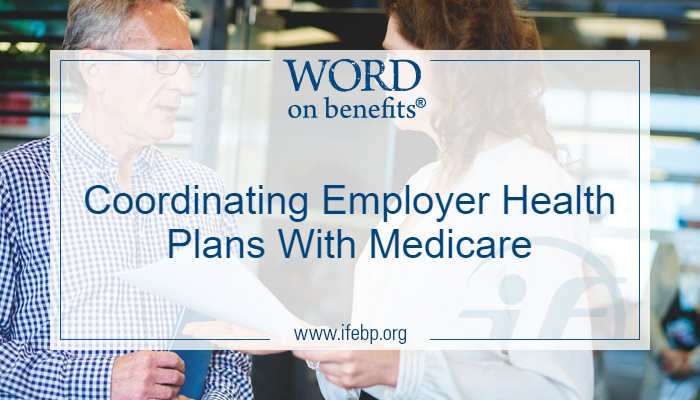 Here are three questions and answers for you and your employees to learn about how Medicare coordinates with employer-sponsored health plans. 1. Who pays first if an employee has coverage under both Medicare and your employer-sponsored group health plan? If an employee is 65 or older, still working, and covered by Medicare in addition to a group health plan, Medicare pays primary, and the group health plan pays secondary. If an employee is 65 or older, still working, and covered by Medicare in addition to a group health plan, the group plan pays primary, and Medicare pays secondary. 2. Who pays first if a retiree has coverage under both Medicare and an employer-sponsored retiree health plan? It depends on the specific terms of the retiree plan, so check for the exact language in your summary plan description (SPD). Typically, Medicare pays primary, and the retiree coverage pays secondary. 3. Can an employer pay an employee to opt out of employer-sponsored coverage and take Medicare instead? Encouraging an eligible employee to opt out of a group health plan could pose several legal dilemmas that are worth discussing with an attorney. 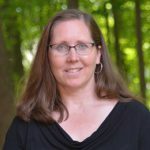 Federal regulations prohibit an employer or other entity from offering Medicare beneficiaries financial or other benefits as incentives not to enroll, or to terminate enrollment, in a group health plan that is, or would be, primary to Medicare. Small employers with under 20 employees are not subject to some of the restrictions for this scenario because Medicare pays the primary claims. However, when Medicare pays secondary, large employers should not “offer, subsidize, or be involved in the arrangement of a Medicare supplement policy.” Also, treating older employees differently may raise compliance issues with the federal Age Discrimination in Employment Act (ADEA). The coordination of benefit rules between employer-sponsored group health plans and Medicare can get complicated. 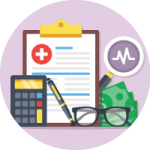 Here are a few additional Medicare Secondary Payer resources to bookmark to help answer questions that come up.